We are your family dental practice in Spanish Fork. Cloward Dental covers all your General Dentistry needs. You only have one smile! Make sure you take care of it so that it can last a lifetime. Click to find out how. Are you happy with your smile? Read about some of our most popular cosmetic dentistry procedures. 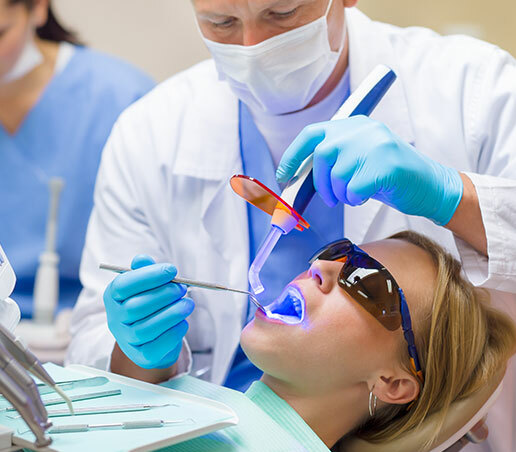 We specialize in beautiful, natural-looking and long-lasting crowns. Find out what you need to know about getting a crown. Learn the different types of materials used for fillings and what to expect before and after the procedure. Understanding the root canal and what to expect. We explain root canal alternatives and other key information. If you've ever considered whitening your teeth there's no better time than now. We explain everything you need to know. What is a bridge and when is it used? We explain the materials used and the process of getting a bridge. Read more. Are experiencing pain or swelling in your gums? This could mean you need your wisdom teeth extracted. Read all about the procedure here. Is Dental Bonding a good option for you? Read about the many issues that can be fixed with dental bonding. Read more to find out. If you have chipped teeth, broken teeth, embarrassing gaps, or just don't like the look of your smile, natural-looking veneers may be the answer. Read more. One of the things that sets us apart from other dentists is our passion for educating our patients on dental procedures that they may need. We want to keep you informed of some of the finer points of dentistry and some of the new and upcoming materials and techniques. We know that patient education goes a long way in establishing your trust so that you are comfortable coming to us for any dental question or procedure. We hope that in turns keeps you coming back to Cloward Dental again and again and continue to refer your family and friends. The following links will take you to pages within our website detailing more information about current dental trends and procedures on our blog.